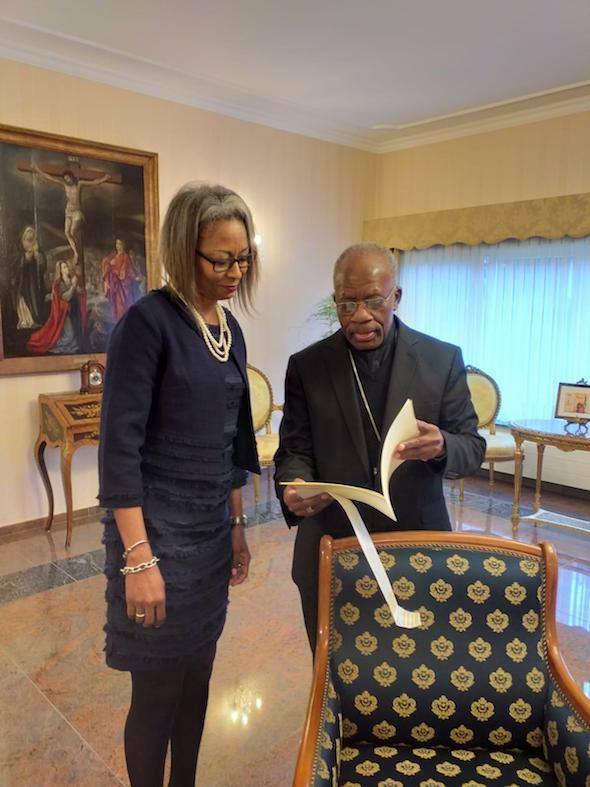 Her Excellency Ms. Maria O’Brien, Ambassador Extraordinaire and Plenipotentiary of The Bahamas to the Kingdom of Belgium and Head of Mission to the European Union (EU), presented her Letters of Credence to His Majesty King Philippe, the King of Belgium, on 13 March 2019 at Palais de Bruxelles. 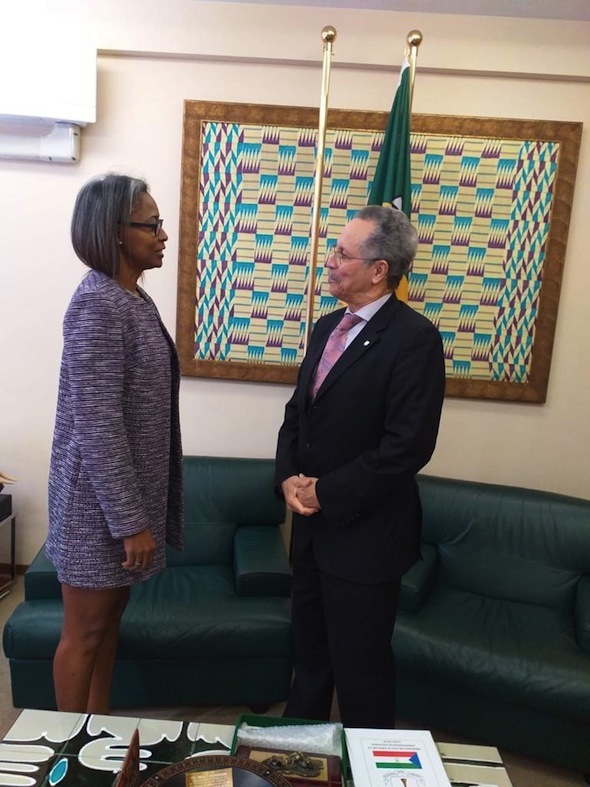 Following the presentation, Ambassador O’Brien called on His Excellency Dr. Patrick Gomes, Secretary General of the African Caribbean Pacific (ACP) Group of States Secretariat. 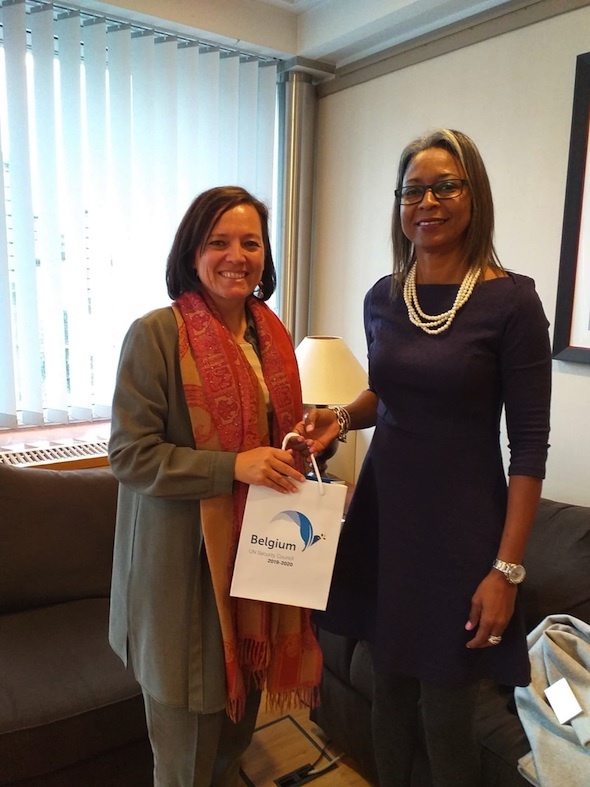 On 14 March 2019 the Ambassador paid a courtesy call on Ms. Roxane de Bilderling, Chief of Staff, on behalf of Minister Didier Reynders, Minister of Foreign Affairs and European Affairs. Ambassador O’Brien also called on His Excellency Archbishop Augustine Kasujja, Apostolic Nuncio and Dean of the Diplomatic Corps, on 15 March 2019. Ambassador O’Brien pays a courtesy call on His Excellency Dr. Patrick Gomes, Secretary General of the African Caribbean Pacific (ACP) Group of States.